Xerox Phase 6022NI Color LED Printer (18 ppm) (525 MHz) (256 MB) (8.5" x 14") (1200 x 2400 dpi) (Max Duty Cycle 30 000 Pages) (USB) (Ethernet) (Wireless) (Energy Star) (150 Sheet Input Tray). 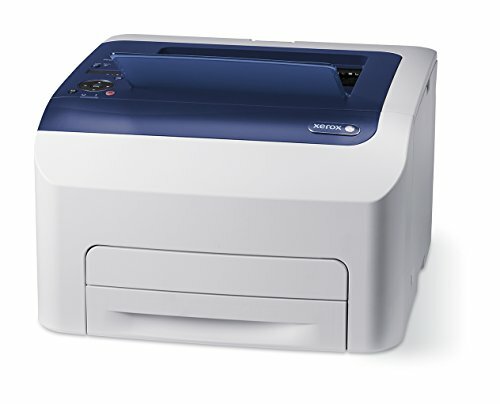 The compact Phase 6022 color LED printer excels in small office environments where high-impact color speed Wi-Fi connectivity and ease of use give your team the opportunity to focus on what's important: your business. Xerox Phase 6022NI Color LED Printer (18 ppm) (525 MHz) (256 MB) (8.5" x 14") (1200 x 2400 dpi) (Max Duty Cycle 30 000 Pages) (USB) (Ethernet) (Wireless) (Energy Star) (150 Sheet Input Tray). Color Laser.